Use a box of brownie mix. When well mixed, place in a 9x9 greased pan. In a large bowl, Stir together flour, oats, baking powder and soda and salt. Set aside for later. Stir together in another bowl all wet ingredients and brown sugar. Slowly add dry ingredients with wet. This mix should be moist and crumbly, not really wet. Place crumble mix on top of brownie mix. Bake as you would the brownies, as it says on the box, or on 350 for 30-40 minutes. Until a toothpick or knife comes out smooth. Yum-o!! Thanks for linking up to 2 Maids a Baking!! We are having a themed linky party over at my blog, (Everyday Sisters Sharing Sundays) and this weeks theme is chocolate. 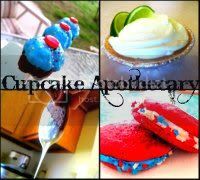 The link will be up tonight beginning at 8 pm Please come by and link up a few of your favorite chocolate recipes! We hope to see you there. Those look oh so dense and chocolaty! I'm going ot have to try that topping! 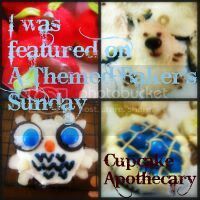 Thank you for linking up to Sharing Sundays Chocolate. This weeks theme is BERRIES. Please stop by and link up your favorite Berry recipes. That crumbly topping on your brownies looks like just the thing to make them extra delicious. I'm bookmarking this recipe for sure. Thanks for linking it up to Sweets for a Saturday.